They say that being a parent can be a person’s greatest achievement. How so? Well, being a parent is a role that not everyone can take on. After a long day at work schedule, you have to worry about your family’s dinner, taking out the trash, setting curfews, helping out with homework, and the list goes on and on. It’s a busy life that you can’t just breeze through. With this in mind, a schedule for parenting may be just what you need. 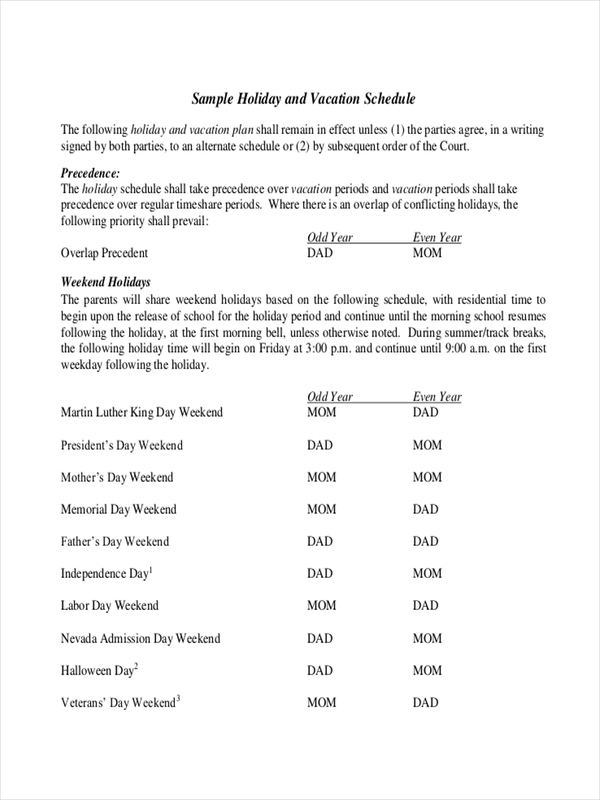 A parenting schedule is designed according to an individual’s responsibilities as a parent. 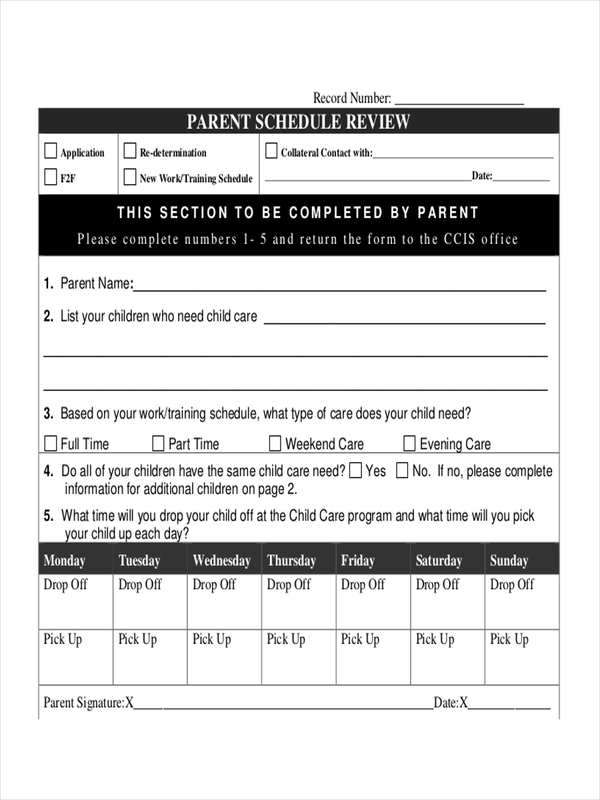 Similar to a job schedule, parents monitor the progress and growth of their child using a parenting schedule. It’s created in such a way that both parents remain present in their child’s life. This is especially important for working parents and divorced parents. A child’s well-being must always be of top priority by creating a stable and fruitful home environment for the child. 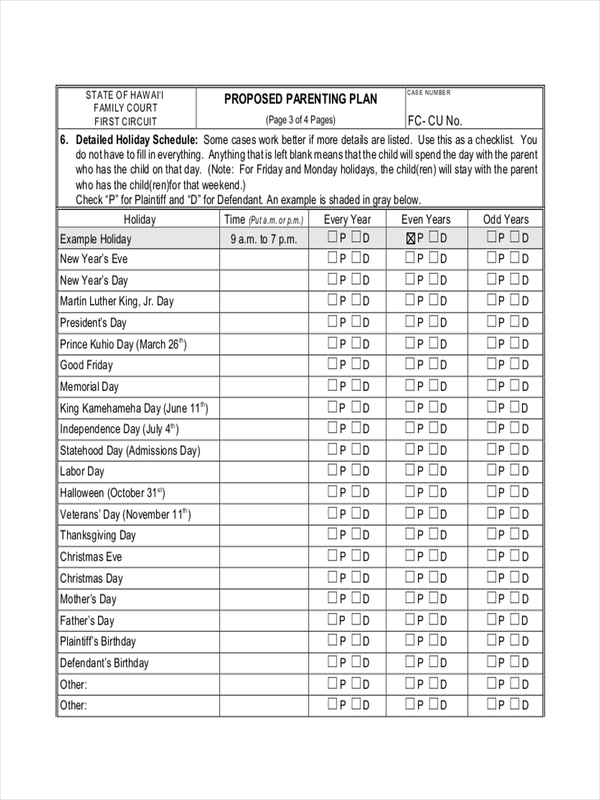 How to Make a Parenting Schedule? Unfortunately for some families, couples separate due to irreconcilable differences. 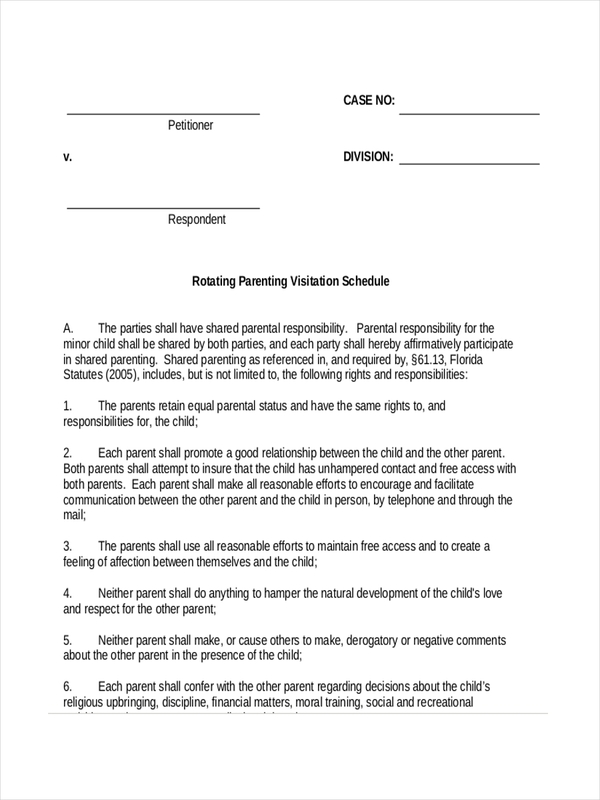 As parents, they may share joint custody of their children, depending on what has been ordered in court. When parents share joint custody of their child, they share the same responsibilities they shared when they were together but in different terms. A father may have his child during the weekends while a mother takes on the rest of the days. This would depend on the agreed daily schedule. 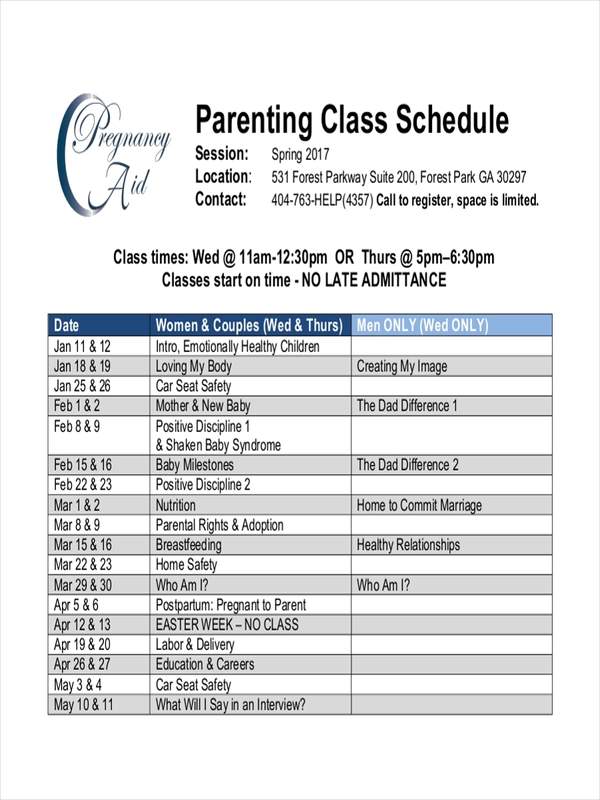 Therefore, a sample schedule for parenting should adjust to who is capable or available at a given time. It’s important that both parents have a set of activities included in their maintenance schedules as well. The tasks may be presented in the form of a checklist or q chart to ensure that each task would be carried out. Equality. There is a stereotypical belief that mothers are solely responsible for caring for a child while the father remains the breadwinner of the family. However, this is not always the case. Women work just as hard in the corporate world to provide for their families. It’s important that both parents share equal roles in caring for their children. This could be anything from changing diapers, cleaning, carpooling, and even attending a child’s sports events. Teamwork. There’s no denying that parenting is a team effort. It requires a certain level of sacrifice from both ends. Each parent must participate in the growth and development of a child by playing a part in each milestone of a child’s life. It’s not about just being physically present but one must also be there for a child’s emotional growth. Setting daily bonding hours and family outings to your activity schedule is an effective way of doing so. Flexibility. When both parents have jobs, they each have hourly schedules to follow. But with a child in the equation, both parents would need to work around their schedule and make adjustments whenever necessary. Family should always be the number one priority.